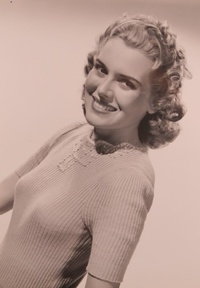 Brenda Joyce (February 25, 1917 – July 4, 2009) was an American film actress. She was born as Betty Graftina Leabo in Excelsior Springs, Missouri, although family and friends referred to her as Graftina. This webpage uses material from the Wikipedia article "Brenda_Joyce_%28actress%29" and is licensed under the GNU Free Documentation License. Reality TV World is not responsible for any errors or omissions the Wikipedia article may contain.